Welcome to the 365 Hotel, the “EVERYDAY” hotel. Experience the comfort of the carefully selected ambiance on your business trip, family holiday or during an adventurous escape from everyday life. We are here to serve YOU — “the travelling businessmen”, “weekenders” or eager individuals. Be surprised ... every room in our hotel has its own story ... Explore them and let them surprise you. Our boutique hotel welcomes you every day. Choose your own cycling route — perhaps one in the area of Kozjak, the location of our hotel? This is one of many routes and is 45 km long; it will take you to the green Žavcarjev vrh and back ... or take a quick tour to Lake Bresternica and the stables at Kamnica. Hotel 365 Maribor. Hotel Maribor. 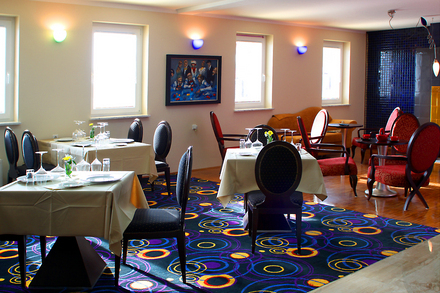 Rooms Maribor.